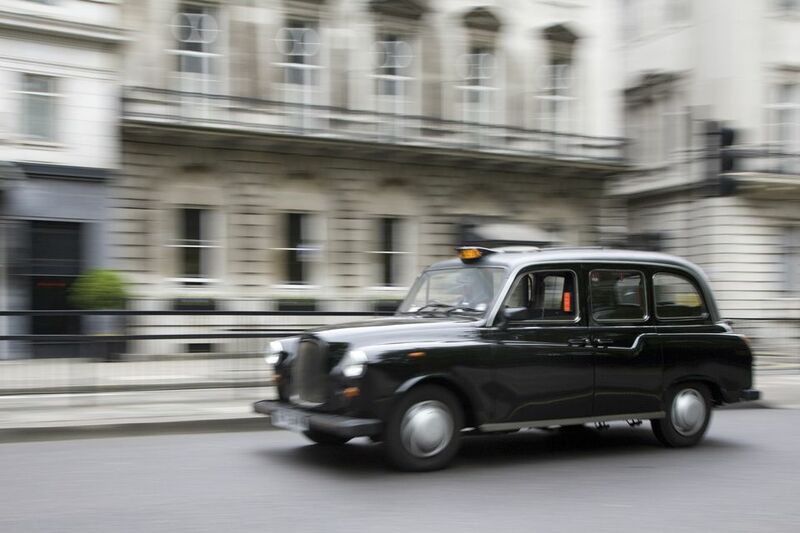 The London black cab is an icon of the city. Black cabs are extremely reliable but considered more expensive, although your journey is charged by a meter and not a flat fee (see current fares and tariffs). Also, black cab drivers know an incredible amount about London as they drive the streets every day -- you can ask them for advice and discover a bit of London's history or simply get to chat with a local who likes talking. All drivers must pass The Knowledge, which means they have studied and memorized 25,000 London streets within a six-mile radius of Charing Cross, proving they know the most direct route for your journey. These studies take about 2 to 4 years to complete, so it's basically like your driver has a university degree in all things London. Cabs available for hire have a light on top displaying the word 'TAXI'. Once hired, the light is switched off. To hail a cab, simply stick your arm out as it approaches and they will pull over for you. Talk to the driver at the front window and explain where you need to get to, then jump in the back. Black cabs can carry five passengers: three on the back seat and two on the fold-down seats that face opposite. If you have a lot of luggage, ask the driver to put your bags in the space at the front next to him. Do think about where you are standing when you hail a cab as they cannot stop on pedestrian crossings or in spots that would be a hazard to other road users. Minicabs are considered a cheaper alternative to black cabs as they should give you a price for the journey before you set off, but the drivers do not know the streets of London in the way black cab drivers do. Most minicab drivers use SatNav technology (GPS) for directions. Some minicabs are painted a bright color with the cab firm's details, but most look like private cars. It is illegal to hail a minicab in the street, so only use a licensed minicab from a minicab office. Unlicensed cabs wait outside popular nightspots such as theaters and nightclubs, touting for business, but it is not recommended to use these for two reasons: 1. It's illegal, and; 2. To be frank, you could be putting your life in danger. Horror stories abound of poor unsuspecting passengers who are hurt or never make it to their destination. You can choose from a selection of available mobile apps to safely book a cab. Check out the ​​best free London apps. If you are looking for a tour of London via cab, try a sightseeing tour of the city like the Black Cab Tour of London (there is even a Harry Potter-themed black cab tour!) or a private tour in a Mini Cooper.